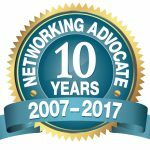 Our Mission: Networking Advocate is a resource for information regarding networking events, workshops, technology events, seminars, trade shows, expos and professional development and training opportunities, in the Baltimore – Washington Metro Area. We are dedicated to being a great source for connecting business professionals, entrepreneurs, networking groups and networking venues resulting in economic growth. We help business professionals find networking organization & associations, professional business forums, trade associations, leads groups that fits their special requirements and geographical locations. We also help drive membership to all of these types of business organizations. If you are seeking business to business relationships we have the resources for you to make those connections as well..
We do not sell or share our list and you can unsubscribe if you find that the newsletter doesn’t serve a purpose. Yea, Like that’s going to happen. NOTE: Live link can be a website page, landing page, LinkedIn or Facebook event page. We need to have a full description of the event so subscribers can make an informed decision about attending your event. We do not link directly to Eventbrite, Meet up, or any other events website. Your link must point to a website page, landing page, LinkedIn or Facebook event page first. The reason being we want (and you should) to drive traffic to one of your website pages first. You can have a link to any events website you wish on your qualifying pages.